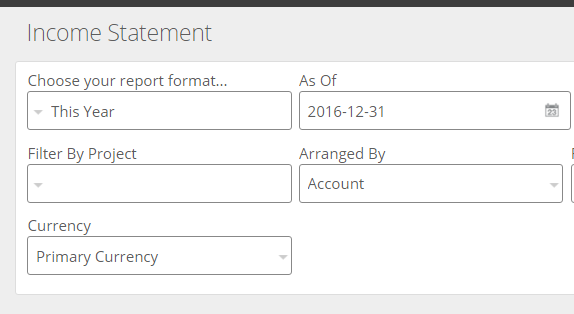 This article describes how to use Kashoo using cash basis accounting (instead of accrual basis accounting). To understand the accrual basis vs cash basis, view our blog post. The easiest way to keep your bookkeeping on cash basis accounting is to record income and expense as they get paid or transacted through your bank (i.e. Do not use the unpaid accounts receivable or accounts payable accounts for the "Terms or Payment" account when entering income and expenses). If you do this, all your reports will be on a cash basis and you do not need to follow any of the instructions below. 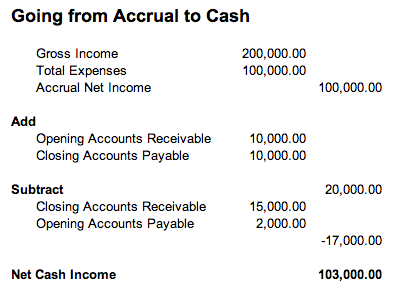 If you do need to use the accounts receivable and accounts payable accounts, don’t worry, you can make a few adjustments to turn your accrual based Income Statement report into a cash based report. To do this, find out how much your Accounts Receivable and Payable have changed in a year and do an adjustment to your Income Statement to reflect those changes. 1. Identify the period for which you want to report. In this example, we’ll adjust a Profit & Loss report for the 2016 year (i.e. January 1, 2016 to January 31, 2016). By deducting those Adjustment amounts from the Gross Profit and Total Expenses from the Accrual Profit & Loss Report, you receive the new Cash Basis Profit and Loss Report, which shows that instead of making $100,000 in the year, $103,000 was actually made (this is the Net Income). You can download the cash basis spreadsheet calculator by clicking here.